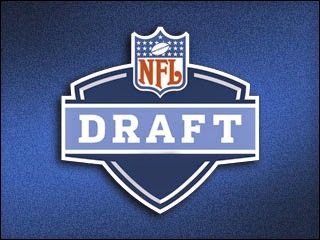 The Tampa Bay Buccaneers selected Winston with the #1 overall pick, as expected. He has two weapons in Vincent Jackson and Mike Evans and possibly another in Austin Seferian-Jenkins, if he makes the leap in his 2nd NFL season. Winston is not going to be worth a fantasy football draft pick in re-drafts, but will absolutely be used throughout the season during BYE weeks and when injuries hit. Mariota was selected 2nd overall and will have some nice passing options in Kendall Wright, Justin Hunter and newly acquired Harry Douglas and Hakeem Nicks. I wouldn't go near him in fantasy for 2015, but like Winston, he will be picked up as used throughout the course of the season during BYE weeks. The Rams picked Gurley with the 10th pick in the draft, after two years of NFL Drafts that went without a RB pick in the first round. Gurley will start the season on the PUP list, ACL injury, but will plan on making his NFL debut in the middle of the season. Tre Mason and Zac Stacy (if still on the roster) will take away some touches. Gurley is not a guy you should target in re-drafts. The Chargers did not trade up for Marcus Mariota and plan on re-signing Philip Rivers. Instead, they traded up to get Gordon with the 17th overall pick, and even though the Chargers have Danny Woodhead, Branden Oliver and Donald Brown, Gordon will be worth drafting in fantasy football as a low end RB2 in his rookie season. We were SPOILED last season with rookie WRs - Odell Beckham Jr., Mike Evans, Kelvin Benjamin, Sammy Watkins, Jarvis Landry, Jordan Matthews and Brandin Cooks (when healthy) . Remember, rookie WRs historically struggle to adjust to the NFL. Cooper went 4th overall to the Raiders and Derek Carr is going to have a field day with him! Not to mention they already have James Jones and added Michael Crabtree to the arsenal this offseason. Carr's new WR could make him a weekly starter in 12, 14 team leagues. Cooper will have WR3 value. The Bears replaced Brandon Marshall, drafting White with the 7th overall pick. White could out produce Cooper in their rookie seasons, but will be the 4th option in the Bears offense behind Alshon Jeffery, Matt Forte and Martellus Bennett. White will have WR3 value. The Dolphins continue to give Ryan Tannehill the weapons he needs, first trading for Kenny Stills, then replacing Mike Wallace/Brian Hartline/Charles Clay with Greg Jennings, Parker (14th overall) and Jordan Cameron. Those are on top of Jarvis Landry. Parker is going to have to share time and won't be on the field for every snap and is probably not worth drafting in re-drafts. He will be used during BYE weeks. The Eagles replaced Jeremy Maclin with Agholor (20th overall) and he is the Eagles WR2 behind Jordan Matthews. With Sam Bradford under center and DeMarco Murray & Ryan Mathews in the backfield, the Eagles offense could put up MASSIVE numbers. Agholor will have WR3 value. Perriman looks like the old Torrey Smith with a helmet on. That's a good thing for Joe Flacco. Find the dreads, throw the ball. With a question mark at TE and no real WR competition (Steve Smith & Marlon Brown), Perriman could be the most productive rookie WR in 2015. Depending on where you can draft him, he could have WR2 value, but I wouldn't draft him until I had two or maybe even three veterans on my team first. Good luck finding playing time rookie! The Colts drafted the Miami Hurricanes speedster with the 29th overall pick, adding him to T.Y. Hilton, Andre Johnson and Donte Moncrief. Andrew Luck is in QB heaven. Dorsett has no draft value in fantasy football re-drafts.